If you don’t know who Todd McFarlane is … then you probably aren’t into comics. He revolutionized Spider-Man’s look in the late 1980s, launched a mega-selling Spider-Man #1, created Spawn and launched a popular toy manufacturer. 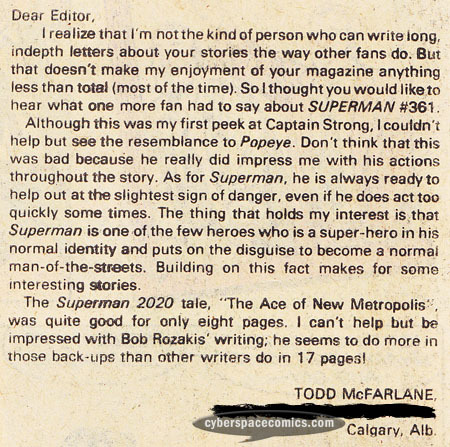 He got a letter published in Superman#366 (cover date – December 1981), at the age of 20.